He’s acting like a victim, acting like he got fooled by a bunch of dastardly right-wingers and he’s so sorry. But he’s gonna take care of it, and he’ll do the right thing — even if it means being regulated. Did we not talk about this just this week, earlier in this week about regulation and how that’s exactly where this is going to lead? The whole purpose of the regulation is going to be to limit conservative participation on social media. Because when Obama vacuumed up every bit of data for the 2012 campaign, nobody had a problem with it then. Nobody has a problem with it now. And Obama and his team are called geniuses, and Zuckerberg knew about all of it. But now here comes Cambridge Analytica with a mere smidgen of the number of people. And it was all legal according to the way Facebook operates. There was no hacking. There was no illegality here. But they’re trying to make it look like Facebook got played by a very slick, dishonest conservative operator (sinister voice) “who has ties to Breitbart and Mercers and Bannon.” It’s all falling into place for ’em. It doesn’t make any sense. RUSH: You know, isn’t it amazing how that keeps growing, by the way? The whole Russia thing? Now Zuckerberg — did you hear what Zuckerberg did? 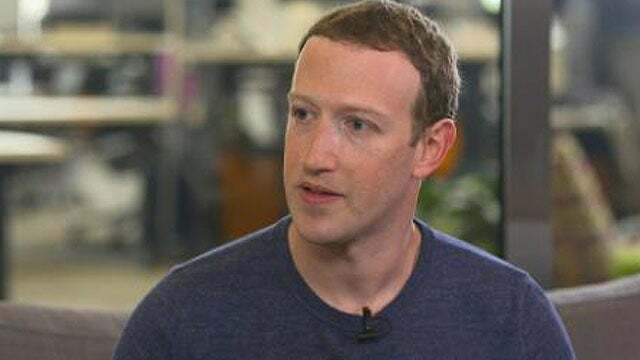 Zuckerberg: I am convinced that the Russians are already meddling in the 2018 election! And I don’t know what to do about it. I am willing to be regulated. I will answer questions. I will testify! I will do whatever! The magic words. The Russians are already meddling. So Zuckerberg got himself on the right side of the issue. Now, I just want to make you this prediction. Zuckerberg spoke yesterday. The next one from Facebook to show up is gonna be Sheryl “Let’s Lean In” Sandburg. I want you to remember what I said. She is the Robert Mueller of Silicon Valley. She can do no wrong. She has impeccable reputation, taste, character, sophistication. And she is a widow. She knows hardship. She has her broken heart. She has worked herself to the bone trying to make Facebook the best it can be. She has been making sure that the young kid Zuckerberg doesn’t go off in the wrong direction. Whatever Sheryl Sandburg says, when she comes out, does a presser, answers questions, you’re gonna see nothing but fawning. So be prepared. That’s up next on the Facebook saga.